Pinterest has started rolling out an upgrade which gives you better control over how your ad campaigns are structured. Now, rather than the ad campaign only being the ad and the Promoted Pins within in, this social media network is offering Pinterest Ad Groups. 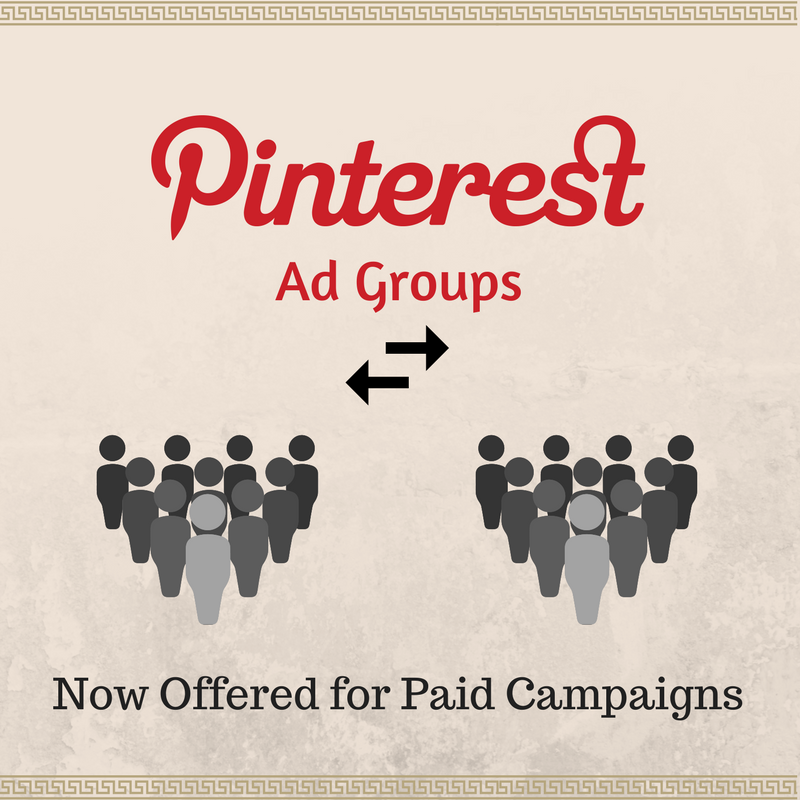 What Are Pinterest Ad Groups? Assign a budget toward specific ad groups. Campaign managers can now test performance against a variety of campaign objectives. Figure out how much should be spent on ads in different audience segments. You can now align your budget based on a number of factors, such as demographics and geographies. Streamline campaigns across platforms. This campaign structure is similar to those of other services. When ad groups is available, you can pop into Ads Manager, review all campaigns with more than one Pin, and then allocate your campaign budget amongst these new ads groups. Not Sure How to Structure Your Campaign? Your social media strategy is all about having the right campaign structure in place. You can spend months experimenting with different campaign structures and learn through trial and error, or you can go to a knowledgeable resource like Small Screen Producer. Our seasoned digital media marketing experts can help you set up the right Pinterest ad groups for your business, as well as introduce you to a number of inbound marketing strategies which will help you scale your business. For more information on how Small Screen Producer can help you, please give us a call at (281) 569-4370.